People often ask me what I do. I work with the human Luminous Energy Field. It is a big title for something that we are all very familiar with: our personal energetic space. 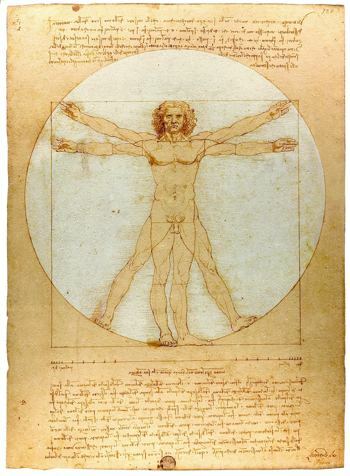 Leonardo da Vinci is famous for his illustration of the man inside the sphere. Part of the reason it is so often referenced is that it depicts an approximation of the human luminous field that surrounds each of us. The Field surrounds and envelops our physical body and is perceived as a translucent, multi-colored bubble of light and energy...like an egg that is standing on its smaller point. It is as high and as wide as your outstretched arms can reach, all around you, and goes into the earth about a foot beyond the base of our feet. Our Field is a reservoir of vital force, a sea of living energy indispensable to our health and well-being. Through time, the Luminous Energy Field tends to collect and store our emotional baggage: our past hurts, wounds, negative impressions, fears, and other results of our ‘less fortunate’ daily confrontations with others. When we accumulate too much baggage in our Field, we tend to feel weak, tired, confused, ungrounded, or just 'not feel right in our skin'. We may feel heavy, or sense that something is missing or holding us back. Our energy body, which also includes our aura and chakras, holds the consequences of these discordant experiences and injuries. At the physical level, we carry the effects of these non-resonant experiences in the form of injuries, illnesses and the non-optimal functioning of our organs, physiology and the systems of the body. When we do not clear our emotional baggage from our Field, it is like someone who goes on a trip, and never puts down their baggage. If they take it everywhere they go, then carrying their baggage takes a heavy toll on their energy and on their good state. Their baggage interferes with their trip. It is truly important to clear our Field by letting go of these non-coherent signatures that we tend to carry around, because this baggage pulls us in the direction of reactivity, avoidance or just not feeling 'right'. These signatures not only hold us back, but also hold back our joy and aliveness. We can ensure our health and extend our active healthy years by clearing and replenishing this essential vital fuel for our life. This is truly the fountain of youth! I help people get rid of what holds them back. Simply said, my sessions are like a garage sale, where you let go of what you no longer need. The benefit? You get something back for the effort: you feel reborn, lighter, stronger, and, have more room to be truly present for the joy in your life, your relationships, and yourself!